I was looking through a collection of images I had taken a few years ago, when I came across this shot along the Amalfi coast in Italy. At first, it was just another picture of an interesting place I’d been. But the more I looked at it, the more I thought about the current economic meltdown and the effect it’s having on so much of what we have taken for granted for so long. Actually, I think I was pondering those things when I stumbled across the picture again, and it just gave me a reason to talk about them. We’ve all been living in a idealized world. A picture postcard. A pretty view. But the grand view has a precipitous step to it and we, being human, sometimes don’t see the downside of things until we miss that first long step. However, I’d also like to think that we, being human, have the ability to make the view “pretty” again and learn to enjoy life once more. 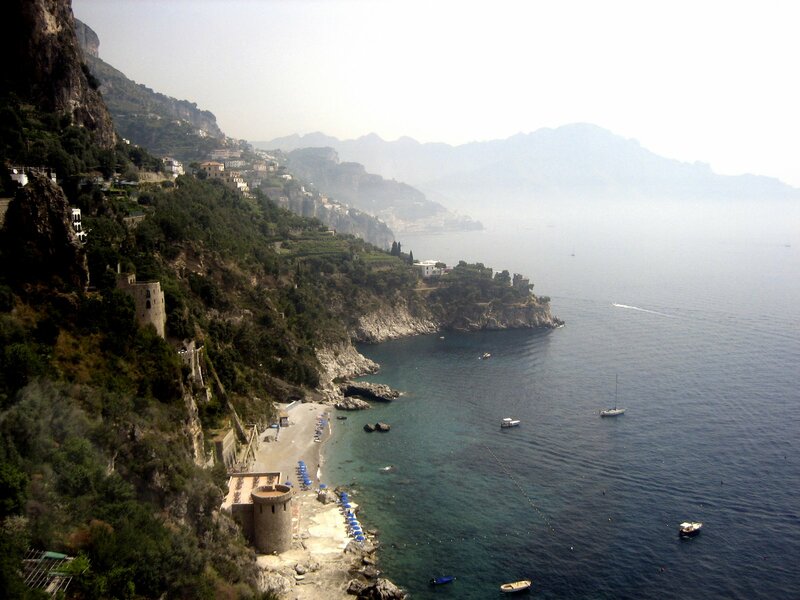 Like those folks who have lived along this steep Amalfi coastline for generations, who understand the possibilities inherent in that drop-off, but who also appreciate the beauty around them. This entry was posted on May 15, 2009 at 10:46 pm and is filed under Lifestyle, Non-Fiction Writing. You can follow any responses to this entry through the RSS 2.0 feed. You can leave a response, or trackback from your own site. That’s what our guide said … and no amount was enough for him to tell us EXACTLY where!